Hello, lovelies~ Lately, the weather has been all rain and no sun around my area. Since the weather got colder, my lips has become drier than usual, but luckily, not to a point that it bleeds. I remember the first time I got to Melbourne and it was freezing cold. My lips bleed because they were dry, urgh. I was at the mall the other day, doing a few errands when I stopped by The Body Shop and bought the Cocoa Butter Lip Care Stick. I got it because it is a lip butter in a stick form and was intrigued to try it out. The packaging is similar to most lip balms that has a twisty end to make the lip balm come out. The color scheme is a mix of milk chocolate brown and cream, with a transparent cap. The ingredients consist of Hydrogenated Coconut Oil, Beeswax, Olea Europaea (Olive) Fruit Oil, Euphorbia Cerifera (Candelilla) Wax, Theobroma Cacao (Cocoa) Butter, Flavor, Prunus Amygdalus Dulcis (Sweet Almond) Oil, Tocopheryl Acetate, Propylene Glycol, Water, Chamomilla Recutita (Matricaria) Extract, Ammonium Glycyrrhizate, Calendula Officinalis Extract, Tocopherol. It has a faint chocolate scent and once applied to the lips, it tastes kinda like beeswax. When I applied it on my lips, it doesn't feel overly greasy compare to the other lip butter variant from The Body Shop, which is the Chocomania. Another thing I like from this product is it doesn't just sit on top of my lips, it actually does moisturizes it instead of just coating my lips. I didn't expect it to be very moisturizing since most of The Body Shop lip balms aren't that moisturizing on my lips. 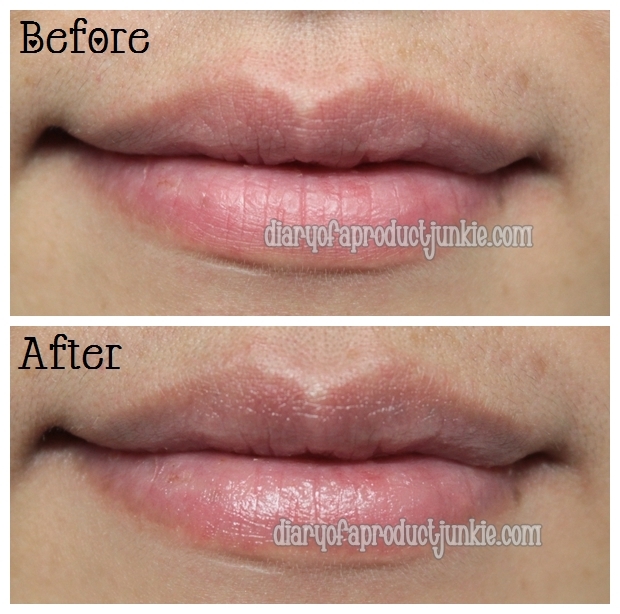 However, I feel that it helps to soften my lips and make them chapped-free, which is awesome! For just Rp 59,000, this could very well be my most favorite lip butter so far from The Body Shop. What is you favorite lip balm or lip butter? Let me know in the comments section below so I can see what other alternatives there are. I never tried TBS lip balm before. Sounds good. The price is not too expensive either compared to Skin Food Lip balm that I usually use. Well, thanks for sharing review. The Bodyshop lip care is my favorite lip balm. I prefer the Vit E lipcare coz it is scentless. but the cocoa butter is my alternative if Vit E is out of stock.